Peter Brian Gabriel (born 13 February 1950) is a British singer, musician, and songwriter who rose to fame as the lead vocalist and flautist of the progressive rock group Genesis. After leaving Genesis, Gabriel went on to a successful solo career. More recently he has focused on producing and promoting world music and pioneering digital distribution methods for music. He has also been involved in various humanitarian efforts. In 2007 Gabriel was honoured as a BMI Icon at the 57th annual BMI London Awards for his “influence on generations of music makers.” Gabriel was also awarded the Polar Music Prize in 2009 and inducted into the Rock and Roll Hall of Fame as a member of Genesis in 2010. This was Gabriel's first studio album to bear an official title from its inception. His previous regular albums were simply titled "Peter Gabriel," including 1982's Security, which was retitled by Gabriel's US label at the time, Geffen Records. 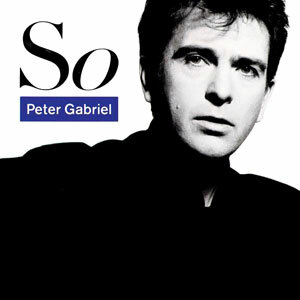 Peter Gabriel said in a interview with Smash Hits in 1986 the title "doesn't mean anything. We just liked the form of the word and the two letters. That's all."